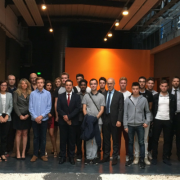 The official foundation of the Alliance for the Industry of the Future association was announced on Monday 20th July in Bercy, and was attended by Emmanuel Macron, Minister for the Economy, Industry and Digital Affairs. At the same time, Philippe Darmayan, a member of the Executive Committee of UIMM, was elected President of Operations of the association, during the first general assembly following the signing of the articles of association. Pascal Daloz and Frédéric Sanchez have been made Vice Presidents of the Alliance; their roles will consist in guidance, development and representation. 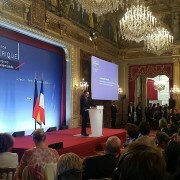 The Alliance for the Industry of the Future brings together professional organizations from industry and the field of digital technology and academic and technological partners, uniting them around a shared aim: making France a leader in global industrial renewal and taking the French economic fabric into the epicenter of new industrial systems. The Alliance will ensure deployment of the Industry of the Future project that was launched on 14th April 2015 by the President of France and clarified by the Minister on 18th May this year. “The Alliance’s role is to organize and coordinate, at a national level, initiatives, projects and work for the modernization and transformation of industry in France. Its work will be implemented in collaboration with regional authorities. It will be brought to different zones through specific platforms that will rely on the networks of members of the Alliance, local authorities and competitiveness clusters in order to provide on-the-ground support for industrial SMEs” explained Philippe Darmayan. Various working groups involving all the stakeholders of the Alliance have already been created in order to put this ambitious project into action through concrete initiatives. Promote the French vision of the Industry of the Future and accelerate transformation, in particular through showcase projects, with a target of launching 15 pilot projects before 2016. Supporting companies through the provision of a standard, offering personalized diagnostics that go as far as financing, and in-depth support. A budget of 160 million euros has been allocated to this mission. In time, 2,000 SMEs and midcaps will have received guidance in this domain. 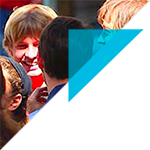 To date, 18 regions are involved and 300 expert participants have been identified and referenced. The process is currently in motion within 400 companies. Referencing the French technological offering driving the industrial transformation, and developing the technological offering of the future by mobilizing all the stakeholders of innovation. 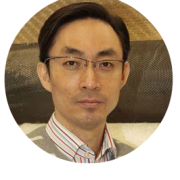 Anticipating professional developments in order to place people at the heart of the success of the Industry of the Future, and carrying out foresight work on human-machine co-evolution, the transformation of enterprises and the development of new products and markets. Enabling the constitution of new value chains, in particular through standardization work, and especially abroad. 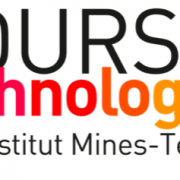 Promoting the French technological offering and expertise abroad. Attracting foreign investors to France through an industrial offering that makes it stand out. In the first Industry of the Future steering committee held today, each working group reported on its state of progress on these subjects to the government. 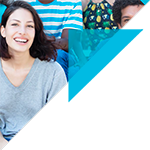 Moreover, the Alliance for the Industry of the Future will be in attendance alongside enterprises at the SMART INDUSTRIES event, from 15th to 17th September 2015 in Paris, Porte de Versailles. This will enable it to present in a practical and concrete way its operational support actions at the heart of the shared aim of industrial performance. These actions to raise awareness are to be rapidly developed across the country. 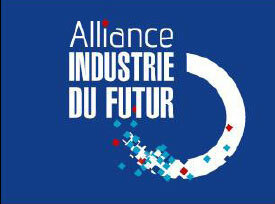 The Industry of the Future Alliance, an association formed in accordance with the law of 1901, brings together and deploys the skills and efforts of professional organizations, scientific and academic actors, enterprises and local authorities – and especially the French Regions – in order to roll out the Industry of the Future plan. The 11 founding members of the Industry of the Future Alliance are: AFDEL (French Association of Software and Internet Solutions Publishers), Arts & Métiers ParisTech, the CEA (the Atomic Energy and Alternative Energy Sources Commission), the CETIM (Technical Center for Mechanics Industries), the FIEEC (Federation of Electrical, Electronic and Communication Industries), the FIM (Federation of Mechanics Industries), Gimélec (Grouping of Industries in Electrical Equipment, Command Control and Associated Services), IMT, SYMOP (Machines and Technology of Production Syndicate), Syntec Numérique (Professional Syndicate of Publishers, Digital Services Enterprises and Technology Consultancies), and the UIMM (Union for Metalworking Industry and Professions). Its President of Operations is Philippe Darmayan. Its Vice Presidents are Pascal Daloz and Frédéric Sanchez.